Influencer marketing will play a significant role in brands’ 2017 marketing and communication strategies, with 84% of marketers saying they will launch at least one influencer campaign within the next 12 months. 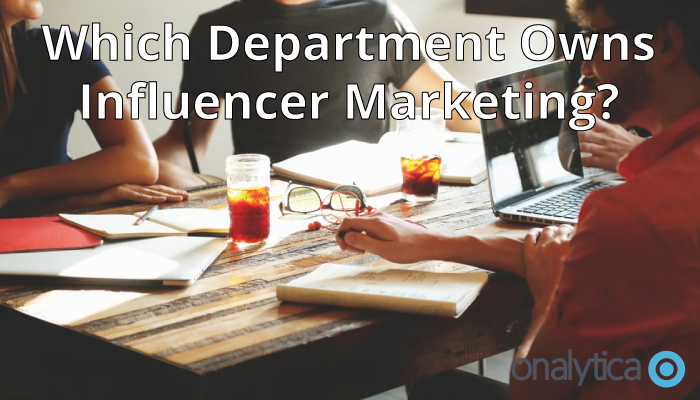 Influencer marketing or influencer relations are not yet mainstream roles in their own right, as they are still maturing disciplines, so there is inevitably a land grab within organizations as to who is leading or owning influencer outreach. Social influencer outreach can be incorporated into Marketing, Corporate Communications, PR, Media Relations, Digital, Social Media and Content Marketing activities; so how should organizations structure themselves to communicate in the most effective way? Influencer marketing seeks to leverage the power of influencers’ networks to enable brands to reach audiences that are not typically influenced by traditional journalism or advertising. The questions are: which team has the strengths to engage influencers and turn them into brand advocates who can improve brand reputation or act as a third party salesforce for your products or solutions? 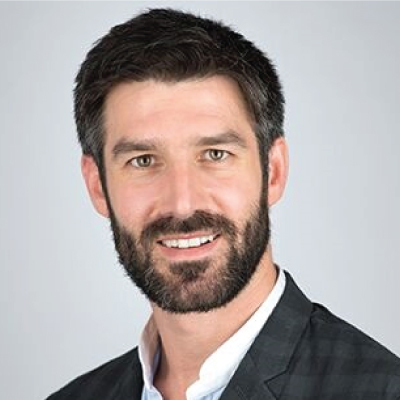 None of the above teams may have the time to develop relationships with 50 key social media influencers as part of a proactive influencer outreach strategy but what if those 50 influencers drive significant influence with a brand’s target market? Someone needs to manage and develop relationships with these influencers before competitors tap them up and gain a competitive advantage. Let’s look at this another way. Where would Influencer Marketing sit if we were to try and create a Venn diagram of job roles and a few product categories? 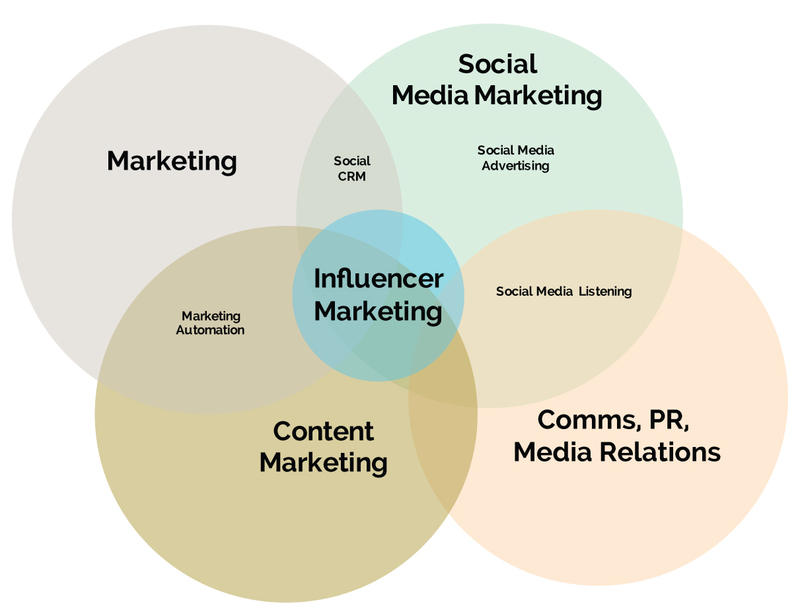 The above visual is a simplified model but it clearly highlights that influencer marketing sits at the confluence of marketing, content, PR and social, which is why the social influencer channel has caused such disruption, opportunity and challenge in the marketplace. 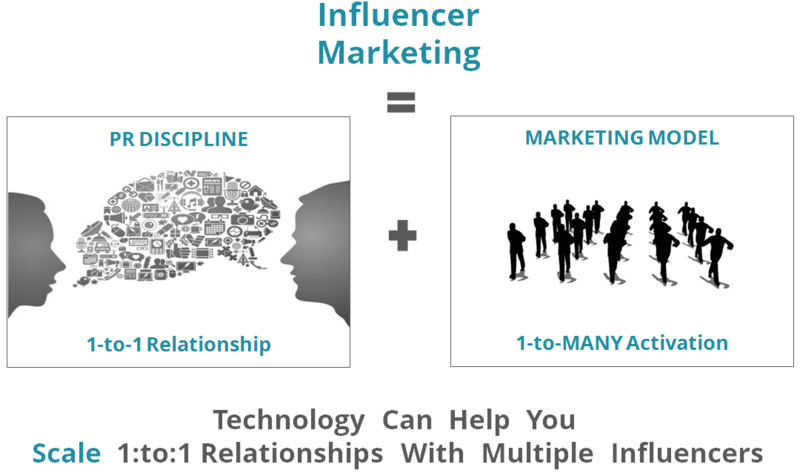 Influencer relations is a PR discipline based on 1-to-1 relationships with a marketing activation model of 1-to-many influence. This is where technology comes in to help the communications practitioner scale out their influencer outreach without committing onerous time and resource to their outreach. Traditional broadcasting through the media is not as effective as it once was. Influence has dissipated through many more influencers than Tier 1 journalists, so it is only natural for technology to help the PR professional evolve their capabilities and scale their influence accordingly. There is no hard and fast rule as to who should take the lead in influencer marketing though. It is often left to the individuals who are seen as the most advanced social media professionals with a good understanding of the business’s offerings and objectives. Ultimately, it is important to remember that you are speaking to actual individual influencers who will collectively enable you to reach that critical mass of target audience to communicate your messages more effectively. So your approach has to adapt according to your marketplace and which employees are most skilled to best manage the influencers personally. Another layer to this debate, is that influencer marketing and influencer relations should be implemented across all departments so that each department can build meaningful relationships with their own relevant influencer groups. The key to success is structuring this activity so that influencers are being managed in a consistent and engaging way, rather than being contacted by multiple people within an organisation with conflicting messaging. In the next few years I believe we will see new teams form that are dedicated to influencer relations and they will be the team pulling all the strings and connecting internal advocates with the key influencers on social.